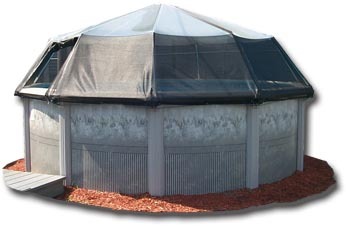 The Fabrico Screen Dome is a new product that combines our original 12-mil vinyl material and a new strong 11-ounce mesh screen. 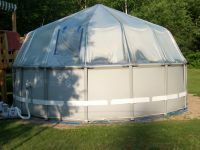 The Fabrico Screen Dome has a vinyl beanie on top and screen material starts at the bend in the poles of the framework. 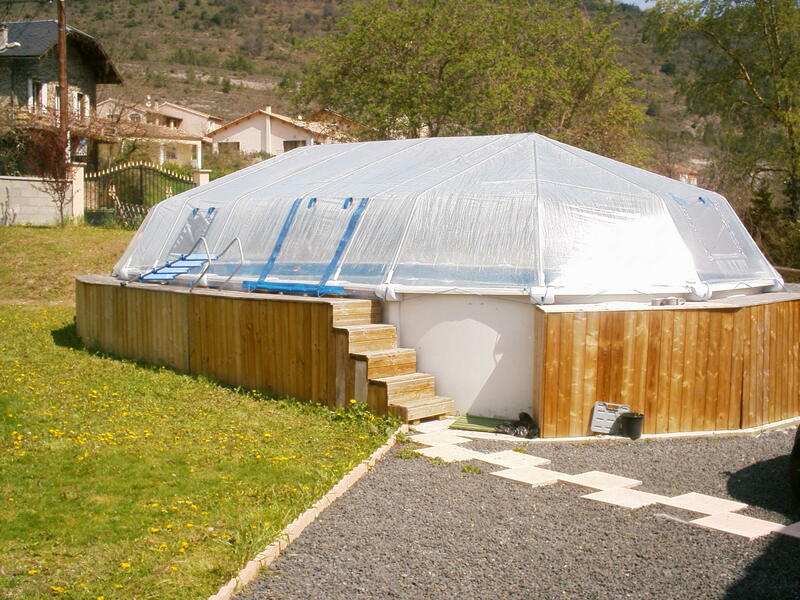 The Fabrico Screen Dome still gives you some of the heating effects of our original vinyl dome, but it allows for increased ventilation for the warmer climates. 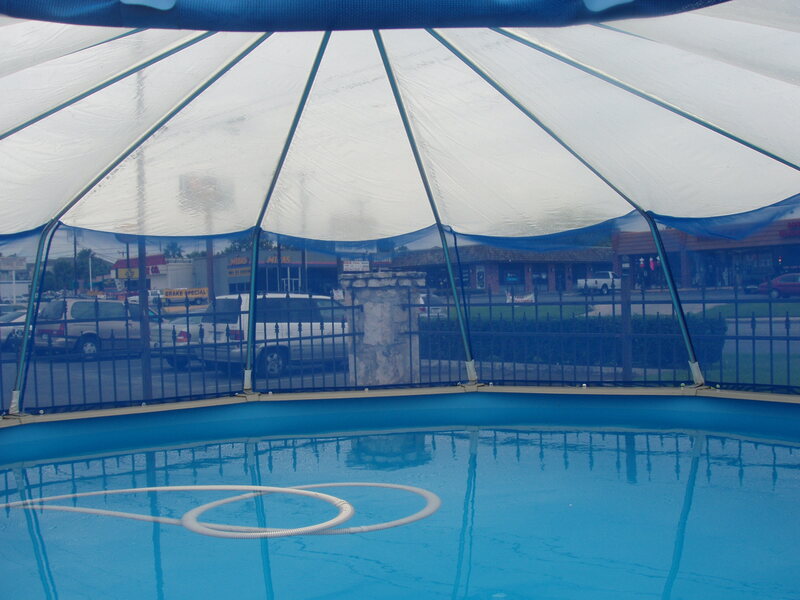 The Fabrico Screen Dome still will keep your pool free from debris, dirt, and bugs just like the original. 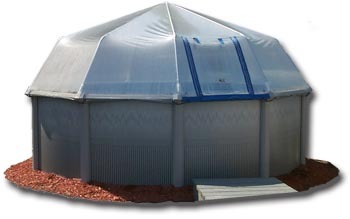 The Fabrico Screen Dome comes in three colors blue, black, and forest green. 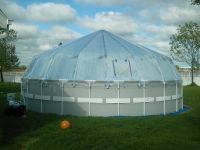 Also the dome has one door like the original. 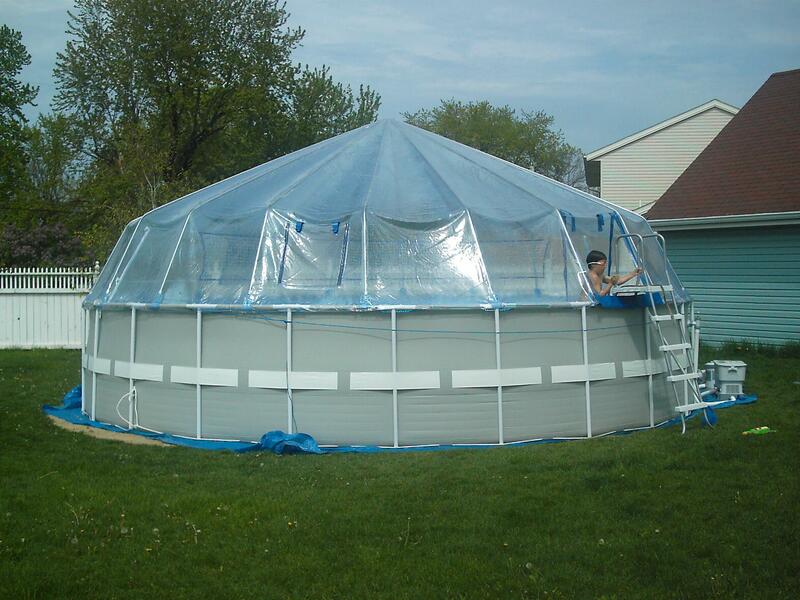 The Fabrico Screen Dome is a custom cover that requires you to take a few measurements off your pool. 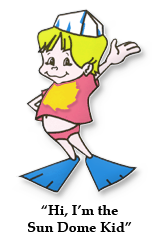 Click here to see meaurements page. 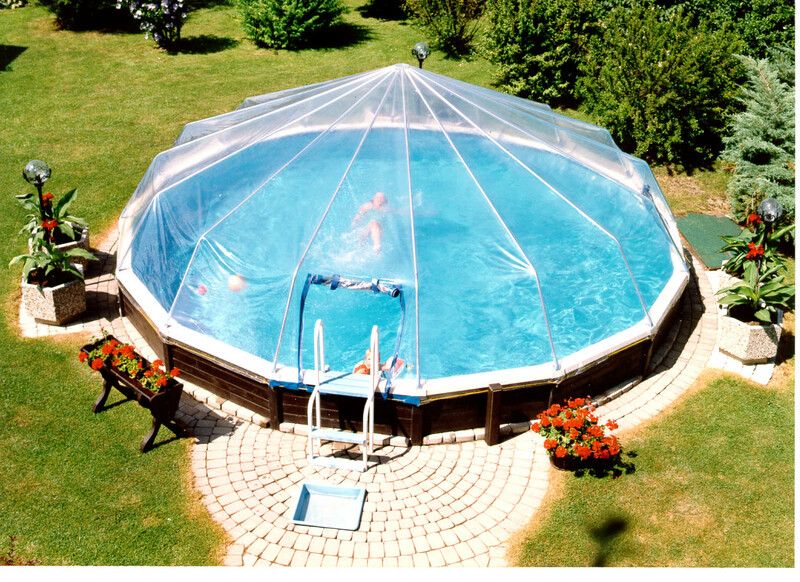 SOFT-SIDED POOL DOMES ARE HERE!!!!!!! We are now making domes for most soft-sided pools. 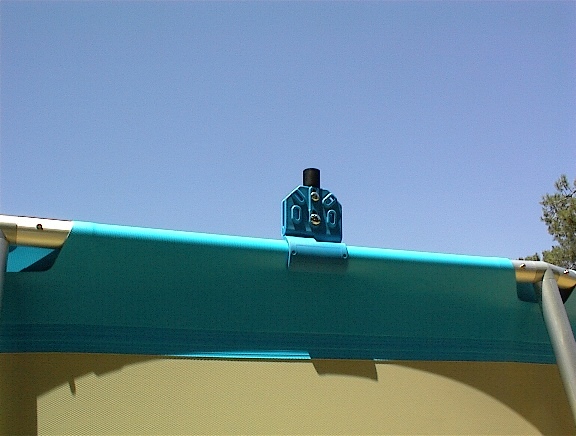 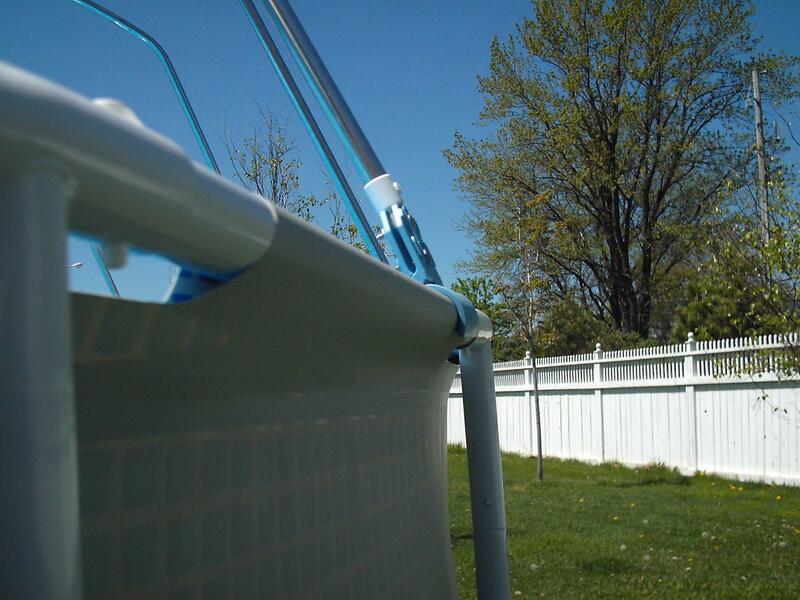 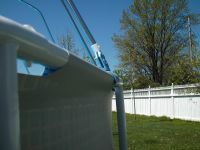 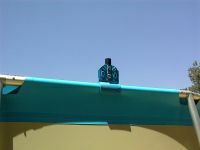 We have developed a bracket that clamps onto most soft-sided pools. 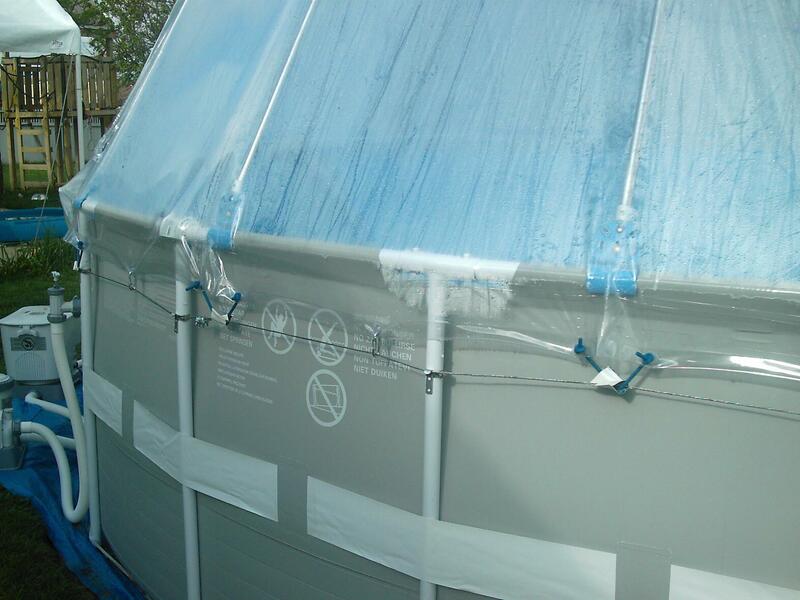 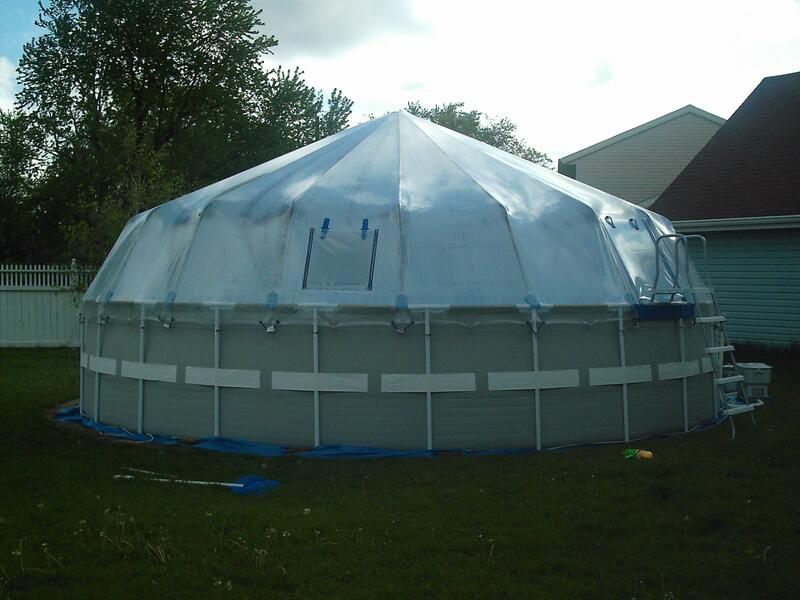 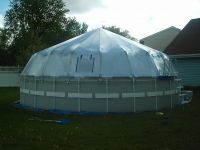 Soft-sided domes come in vinyl and screen just like our aboveground domes. 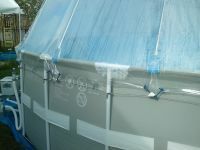 Please click below to see pictures and our instruction manuel.